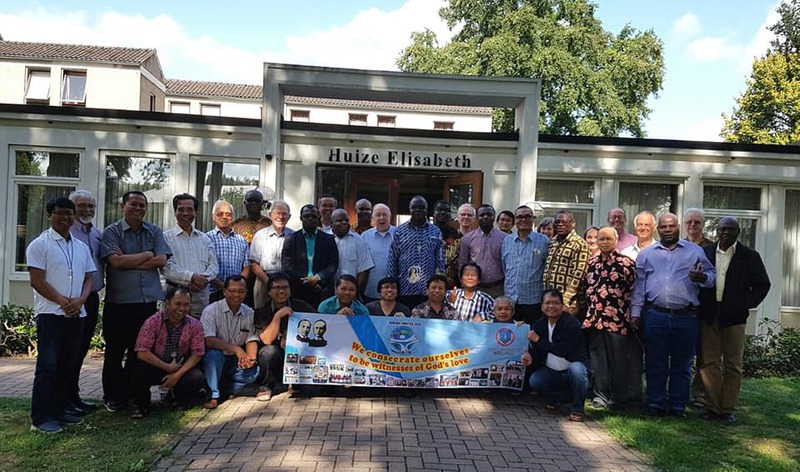 GENERAL CHAPTER FIC 2018 VOTE OF THANKS TO THE OUTGOING GENERAL COUNCIL (Wednesday, 22 August 2018). I consider it an honour to express the gratitude of this chapter for the high quality service you have given to our Congregation during the past six years. During the first week of our chapter all four of you shared with us how you have experienced your working together as a team. To my great satisfaction your four stories were very confirming each other: a spirit of respect and openness, of appreciation and longing to understand each other, considering the differences as an enrichment. And then I saw your great joy, of all four of you, when we unanimously accepted in a secret ballot not only your financial policy, but your whole Report about the past six years of your administration. You expressed a genuine relief after so much effort to inform us extensively and honestly about - not only what you did, but also about matters that continue to need great attention and care of the incoming general council. It showed your practical commitment during these six yeart but also your fraternal care and your thinking about the near future of our congregation. In fact your Report was much more than just a collection of facts. It was also a confident and loving entrusting of our multicolor congregational reality to your successors : our new general council. But let me now also shed some light on the individual members:. MARTIN, you as the leader of this team, excelled by your gift to create a relaxed and positive atmosphere, always starting with what you called a ‘green round’, to help each other to be wholeheartedly present and active for the work to be done together . Recently your vicar, Guido, stressed your great patience, which is key for success to work as a team. We are all aware what it meant for you in 2012 to say again “yes” to the appeal made to you, thinking of your career, which you had already interrupted six years earlier. We admire you because you wholeheartedly gave yourself six years more for the well being of our Congregation. We strongly hope you now will find again the teaching work on academic level you love so much. GUIDO, with your three consecutive periods of service in the Council, you merit a special word of thanks ! 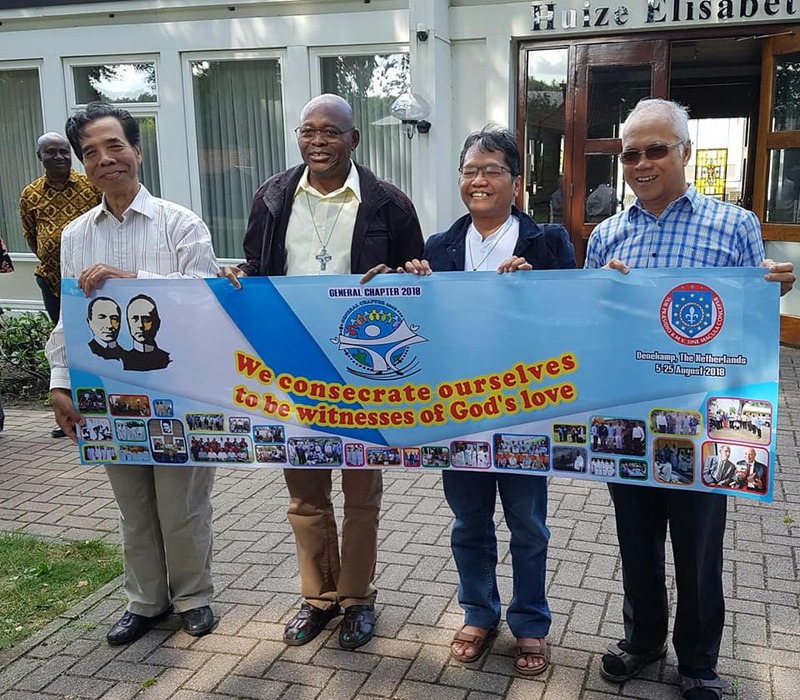 Your involvement for the well being of our Congregation in your different tasks in the council and in particular all your work for the Spiritual Journey programma, has been a great gift to our Congregation ! Also for you we wholeheartedly hope that you now will be able to invest your heart and your gifts in a service in Indonesia you are longing for. RAPHAEL, in the past six years you have won the heart of many Brothers. Your modesty, your openness and interest and your warm heart have touched many of us. Even when you are not yet fluent in Dutch we experienced you as really present when you were at De Beyart and in other places. You were experienced in that same positive way in other provinces. What may look as a detail is speaking a lot: We also were happy with you, together with Guido, as a faithful member of our Beyart-choir. And now you have been elected for a second term of office in our general council. We thank you wholeheartedly for your readiness and we wish you a happy continuation and God’s abundant blessings. THEODORUS, most of us (at least here in The Netherlands) know you especially as the committed and faithful photographer, who takes care that many people can share - via the pictures you make - both in the joyful and sorrowful events that happen among us. Your joyful nature often sparks a laughter on the face of others. But you are much more and when working together with you your deep commitment can clearly be felt. And now, together with Raphael, you have been asked to continue to serve our Congregation at the highest level. We confidently pray that you, also in the next six years, will be happy and blessed abundantly.